Since the original identification of Bruton’s tyrosine kinase (BTK) as the gene defective in the primary immunodeficiency X-linked agammaglobulinemia (XLA) in 1993, our knowledge on the physiological function of BTK has expanded impressively. 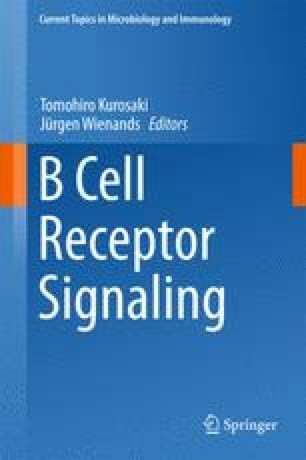 In this review, we focus on the role of BTK during B cell differentiation in vivo, both in the regulation of expansion and in the developmental progression of pre-B cells in the bone marrow and as a crucial signal transducer of signals downstream of the IgM or IgG B cell antigen receptor (BCR) in mature B cells governing proliferation, survival, and differentiation. In particular, we highlight BTK function in B cells in the context of host defense and autoimmunity. Small-molecule inhibitors of BTK have very recently shown impressive anti-tumor activity in clinical studies in patients with various B cell malignancies. Since promising effects of BTK inhibition were also seen in experimental animal models for lupus and rheumatoid arthritis, BTK may be a good target for controlling autoreactive B cells in patients with systemic autoimmune disease. These studies were partly supported by the Dutch Arthritis Foundation and a VIRGO grant from the Dutch Organization for Scientific Research. We want to acknowledge Menno van Nimwegen, Marjolein de Bruijn, and Guus Rimmelzwaan (Erasmus MC) for their assistance.